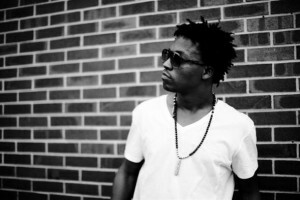 Lehigh University announced this week that rapper Lupe Fiasco will join educator and activist Angela Davis on Tuesday, January 21st at the university to celebrate the life of Martin Luther King Jr. The event will center a discussion around current civil rights and criminal justice issues. Lupe Fiasco, whose real name is Wasalu Jaco, has based his rap career off of rapping about social issues in the black community and anti-establishment views, eschewing topics that most Top 40 rap touches on. Jaco, who has been nominated for 12 and won one Grammy Award, was born in Chicago to a father who was a member of the Black Panthers. He has recently been critical of fellow Chicago rapper Chief Keef for rapping about gratuitous violence, with Keef recently claiming that his upcoming album will raise Chicago’s murder rate. The discussion will be moderated by James Peterson, director of Africana Studies and a professor of English at Lehigh .